To produce the most potent and effective herbal supplements possible, India Herbs uses only herbal extract ingredients (except in the case of a few botanicals from which extracts cannot be produced). On the average across all India Herbs products, 1 of our extract formulation capsules is equivalent to 8 capsules composed of raw plant mixture only (the industry standard). The daily dosage of two 500 mg India Herbs supplement capsules (1 gram total) is equivalent to taking sixteen 500 mg competitor capsules (8 grams total)! 1) Raw - Plant parts or the entire plants are dried and then blended. 2) Extract - The active components of the plant parts or entire plants are removed and condensed into herbal extracts. 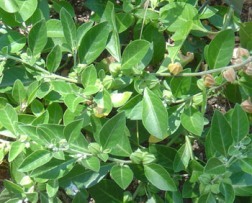 A herbal extract at a 10:1 concentration ratio means 10 kilograms of the raw plant yields 1 kilogram of the concentrate. 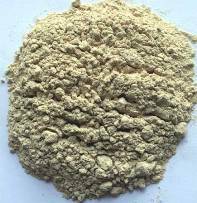 The herbal extract of a plant is many times more expensive than the raw powder weight equivalent due to the greater quantities of the raw plant required and processing costs associated with producing the extract. For example, 18 kilograms of the root of Vidari (Pueraria Tuberosa) is used to produce 1 kilogram of Vidari extract (18:1). The cost for this extract is more than 18 times than that of the raw Vidari herb. At the same time, the concentration of active constituents is much higher in the Vidari extract and its benefit to the body is extraordinary. 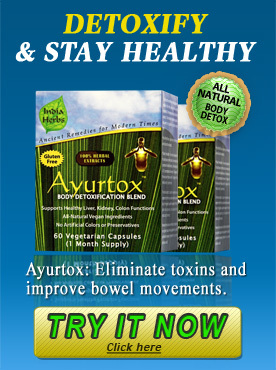 Besides greater potency, herbal extracts are cleared of impurities and have extended storage life. U.S. FDA labeling requirements for "Supplement Facts" do not allow indication of whether the ingredient is a raw plant or herbal extract. Manufacturers can use raw plants or herbal extracts at their discretion. Included in the above listing are commonly known botanicals such as Aloe Vera, Celery, Cinnamon, Clove, Garlic, Grape, Horseradish, Licorice, Mace, Onion, Pepper, and Turmeric. The extract forms of these botanicals are far more potent and beneficial than the raw plants found in food. When you use supplements from India Herbs, you are assured of the most optimal benefits possible from Ayurveda Medicine! © 2002-2019 www.ayurtox.com - All Rights Reserved.